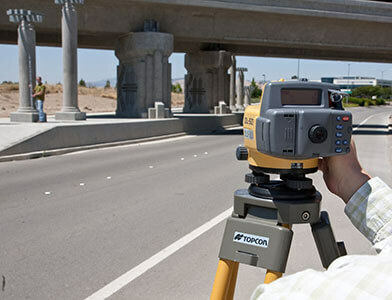 Lasers, Levels & Theodolites | Topcon Positioning Systems, Inc.
accurate results quickly and easily. Topcon lasers are mature, feature-rich tools with remarkable versatility. They're also really simple to use. 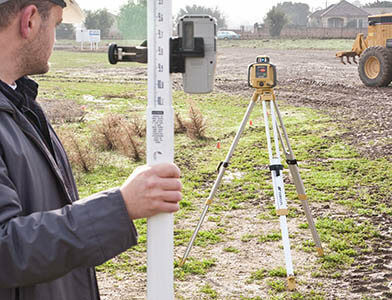 Topcon lasers have been on jobsites all over the world for decades. And they have learned a lot. Auto-leveling, red and green beams, features like SmartScan designed for how you really work. Now you can be confident that your tools have as much experience and are as smart as you. Repeatability is the key to accuracy you can use.Topcon lasers and levels all have highly refined machining and design to assure you are exactly on line setup after setup, day after day. Our self-alignment features take the guesswork out of getting accuracy you can be proud of, and succeed with. Topcon instrumentss are tough. The proof is on jobsites across the globe. Set it up, turn it on, and go to work: day after day, year after year. This is one investment that lasts. Topcon slope lasers are used over long distances at extremely exacting slopes. 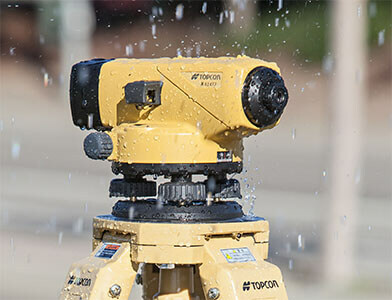 All Topcon Exterior Laser offer rugged construction from layout to grade control for all-weather performance. All Topcon interior lasers offer a solution for every measurement task with high visibility. building utilities and preparations for house building and road construction. and accuracy in combination with Topcon laser and machine control packages. these instruments are an easy way to assure better results with minimal investment. long battery life, super-short minimum focus and your choice of angle accuracies.